You may have heard about the Drill It & Fill It campaign that happened a couple of weeks ago, hosted by The Wally Show on WAY-FM. Before the campaign kicked off, Wally and his team went to Zambia to visit some of the communities that will receive clean water because of the campaign. While they were there, the team posted their own incredible blogs and this week, we want to share some of their experiences with you. We have a sign in our house that says, “Today is a Beautiful Day.” It’s simple, but it’s a good reminder for the days I stress about the things that don’t matter. Today is a gift from God. Today is a beautiful day. For one village in Zambia, today truly is a beautiful day. They just received a brand new well that will provide clean water for years to come, and we had the honor of being there for the well’s debut. 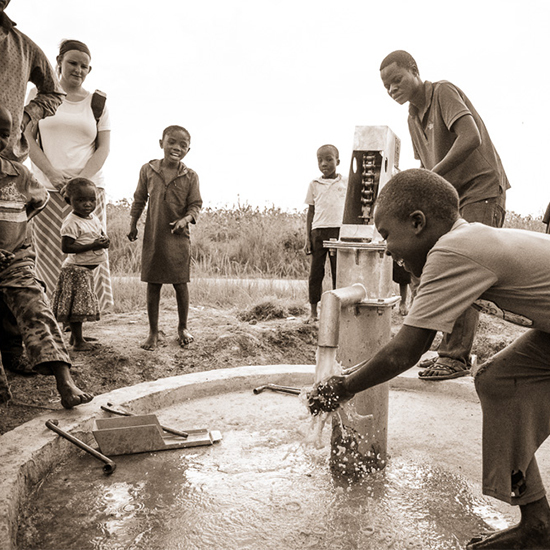 Thanks to everyone who participated in the Drill It & Fill It campaign, hundreds of thousands of people in Zambia will soon share the same beautiful experience of receiving water in their communities for the first time. That means many, many more beautiful days to come!